Underground tunnels, dusty environments and all-encompassing darkness are just a few of the many hazards miners encounter every day. As a result, they face ever-present dangers, and the mining sector has a reputation for high-risk job environments. However, after more than a decade of research, Australian scientists from the robotics department at the Queensland University of Technology developed cameras that mount onto underground mining vehicles and equip them to navigate autonomously despite the challenges described above. This advancement reportedly relies on mathematics and biology-inspired algorithms, allowing people above the ground to see the location of vehicles below within meters. Previous technologies required costly infrastructure changes and expensive laser sensing equipment. However, the research team indicates the use of cameras rather than lasers makes their option cheaper without compromising effectiveness. 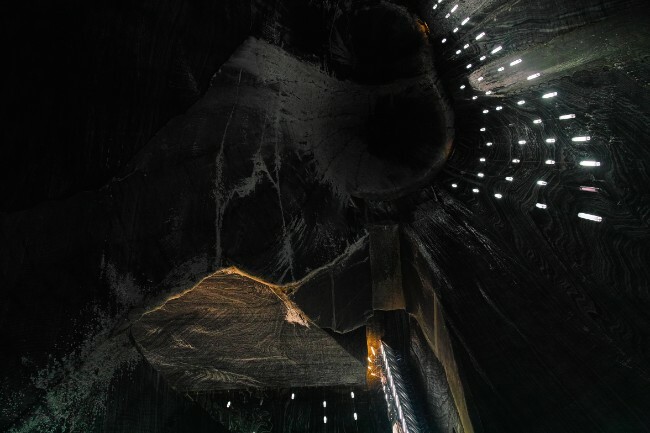 While experimenting with their technology, the researchers encountered problems after discovering their trials would not suit the mine environments. That’s because some of the photos taken by the vehicle cameras were too blurry to be useful. In other cases, captured images were overly grainy due to dust. To compensate, the researchers came up with a system that could evaluate characteristics associated with the camera images. It learned to disregard or keep them based on the overall quality. Additional instances of successful outcomes associated with the imaging technology could make the cameras adaptable to other types of work, such as the building, disaster recovery or pest extermination industries. All three sometimes require looking underneath structures or behind walls to check structural integrity or the extent of the sustained damage. The scientists mentioned completing two field trips to Australian mines to test the cameras. Furthermore, a third excursion scheduled for late December intended to give the research team supplementary information that would aid in making more progress. Specifically, the team wants to implement improved positioning technology that tracks a vehicle’s location within centimeters rather than meters. They believe that achievement will facilitate better operation abilities for the machinery. The potential lack of human involvement with future projects is a factor responsible for making calibration even more important than it is for normal vehicles. A vehicle with well-calibrated on-board systems typically performs its tasks as expected, reducing downtime caused by unexpected issues. The research discussed above is far from the only instance of depending on autonomous equipment for mining. People in the industry know it’s necessary to continue extracting resources from underneath the ground, but they’re looking at ways to do that while reducing the danger to humans. Some mining companies even run autonomous equipment 24 hours a day at their mines, boosting productivity while cutting costs. A representative from Rio Tinto, a mining company in Australia that’s depending on autonomous mining trucks, notes that these driverless vehicles are about 15 percent cheaper to run than those that humans operate. That’s because they don’t have to take breaks or stop during shift changes. The high-tech trucks use lasers and radar, plus GPS systems. All of those help the trucks see in the mines and avoid obstacles. Furthermore, they display a level of consistency that saves time and leads to more uniform results. Before long, the technology could be a widespread part of the construction industry, too. It’s not hard for most people to imagine why mining is such a physically strenuous line of work. The Wolff Group is another Australian company evaluating the use of vehicles that don’t require onboard personnel. It’s rolling out a trial of semi-autonomous bulldozers used at an open-cut coal mine to determine if the updated machinery could lessen the wear and tear on miners’ bodies. The repetitive, physically demanding nature of excavations often means miners retire before the age of 50. However, when controlling these new vehicles, an operator sits in a room and controls three at once, all without undergoing grueling bodily stress. Similarly to the research carried out by the group at the Queensland University of Technology, these bulldozers help keep miners safer. Compared to conventional equipment, they don’t require workers to spend so much time in hazardous environments or carrying out tough tasks. These examples highlight the significant amount of ongoing research and exciting developments happening in the mining industry.